Find some of the best trails in IDAHO. We provided you with all the public trails at your fingertips. Feel free to check out our homepage here for more information regarding the trails below. Check weather and trail conditions before you head out. Contact information here. The Owyhee Uplands National Backcountry Byway offers high desert scenery at its finest. From expanses of sagebrush and grasslands to sheer, red-walled river canyons, the byway provides an opportunity to visit a vast, little-known area known as the Owyhee Plateau. The byway, a well-maintained gravel road, is 103 miles long from Grand View, Idaho, to Jordan Valley, Ore. From Boise, it’s a 250-mile roundtrip, so it’s best to take your camping gear and recreation toys and camp out for a few nights. The main byway is open to OHV use except for the paved section of Mud Flat Road from the Grand View side. Once the road turns to gravel, it's open to OHV use, according to Owyhee County officials. The Owyhee byway also provides access to literally hundreds of miles of secondary roads. Pick up a more detailed map of the area (with land ownership) and go explore. Please respect private property and avoid any areas that are posted "No Trespassing." For more information about OHV access, contact the Owyhee County Sheriff's Office, 208-495-1154. The St. Anthony Sand Dunes are a very popular riding destination for ATVs and Dune Buggies. The dunes, which rise as much as 400 feet above the valley floor, are located 50 miles northwest of Idaho Falls. There are endless OHV riding opportunities on 15 continuous miles of open sand. Parking, camping and rest rooms are available nearby. BLM regulations require safety flags and an Idaho OHV sticker. No glass containers allowed in the dunes. The Sacajawea Motorsports Park near Salmon, Idaho, offers a true natural terrain motocross track covering approximately 40 acres of public lands, which is leased to Lemhi County. The track is offers challenges for all skill levels – including a mini motocross track for 50cc racers. The track is open seven days a week. Directions: arriving south of Salmon, Idaho via U.S. Highway 28, travel north on Main Street and look for the intersection with North St. Charles Street, turn right onto N. St. Charles and follow the main road and signs approximately 2.6 miles to reach the park. Facilities include a vaulted toilet and ample parking. It’s important to check ahead when planning a visit as organized races are held frequently. Race days are usually listed on the Salmon Chamber of Commerce calendar. Mackay’s Mine Hill Tour is a self-guided tour of a number of historically productive gold, silver, copper, lead and zinc mines in the Knob Mountains adjacent to Mackay, Idaho, about 30 miles north of Arco. This is a cool riding area because it features riding across high trestles and ATV-width trails in a forested environment. Several loop trips ranging from 20 to 24 miles in length are available to tour the mines, and 20 interpretive sites can viewed along the way. The mine tour takes from two to four hours for an ATV or motorcycle, depending on the speed of travel and stops along the way. No services. In southern Idaho near Craters of the Moon National Monument, a huge whale of a mountain lurks out in the desert. It’s called Big Southern Butte (elevation 7,560 feet). According to the Bureau of Land Management, it’s one of the largest volcanic domes in the world, and one of the youngest, at only 300,000 years old. The BLM and the Lost Valley ATV Club put together a route and a map of the 68-mile route, starting and finishing in Arco, Idaho. Start in the Arco City Park, and follow the signs to head out into the desert for 18 miles to the first junction. Turn left and ride over Sunset Ridge to the base of Big Southern Butte. Follow the summit road five miles to the top of the mountain. Retrace your tracks to return to Arco, or take the long way back around Quaking Aspen Butte. You may want to carry extra fuel on this ride depending on the range of your vehicle on one tank of gas. Bring plenty of food and water. No services. Try to visit this area when it’s not too hot … because there is no shade on the ride. The 60,000-acre Danskin Mountain Off-Highway Vehicle (OHV) Area provides more than 150 miles of motorcycle and ATV trails in a mountainous, high desert setting in the Boise National Forest. The trails vary in difficulty from easy to challenging, so they offer something for everyone. Trails are open to motorized and non-motorized uses. Motorized use is limited to ATVs and UTVs that are 50 inches wide or less and motorcycles. Several trailheads are located along Black’s Creek Road as it winds toward the South Fork of the Boise River. Many loop opportunities exist in the Danskin Trails system. Be sure to carry a map for guidance. Camping areas exist near trailheads, and some have rest rooms. The Boise National Forest has a $5 map available for the Danskin Trails, which is available at the Mountain Home Ranger District office or at the Boise National Forest headquarters. The 35-mile Kirkham Ridge Trail is one of the premier OHV trails on the Lowman Ranger District in the Boise National Forest. The trail starts heading roughly northwest from the trailhead located on Hwy 21. It climbs through the Lowman Fire area of 1989 for 9 miles before entering into conifer forest after crossing Miller Creek. About .5 mile from Miller Creek is an information kiosk at the intersection with the Miller Mountain Trail. From this point the trail heads northeast along Kirkham Ridge. After about 3 miles the trail intersects with Long Creek Trail from the west. After the Long Creek intersection the Kirkham Ridge Trail is closed to ATV access. In approximately 8 miles the trail intersects with the non-motorized Clear Creek Trail coming in from the west. Around the Clear Creek intersection there are several non-designated trails to various lakes in the area. These non-designated trails are not open for motorized use. Approximately 2 miles from the Clear Creek Trail intersection the motorized Link Trail takes off to the southeast. .5 mile past the Link Trail intersection the non-motorized Cat Lakes Trail takes off to the west; it is only a short hike to Cat Lake. The Kirkham Ridge Trail continues for several miles more before descending into and crossing over Gates Creek. About 2 miles after Gates Creek, the trail intersects with the Gates Creek Trail coming from the north. One mile past that intersection the trail comes to its northern terminus at the Bull Trout Lake Trailhead. Approximately four miles of the trail (Gates Creek to Eight Mile Creek) were burned in the Red Mountain Fire in 2006. Please 'TREAD LIGHTLY' -- Motorcycle and ATV use off of designated trails and roads is prohibited! Thanks! The 10-mile Buckhorn Bar Loop Trail circumnavigates Teapot Mountain near the South Fork of the Salmon River in the Payette National Forest. The trail follows a gentle grade for its entire length and follows trails #098, #383 and #096. The paved road along the South Fork Salmon connects the loop between Buckhorn Bar Campground and Camp Creek Campground. The trail is more than 20 miles east of McCall, so it’s best to camp along the South Fork before or after your ride. There are some great fishing spots and natural hot springs pools on the South Fork. Take your time and enjoy the ride.June 2010 flooding along the South Fork Salmon River flooded out the OHV bridge leading to the Buckhorn Bar (Teapot Mountain Loop) trail. And north of the Buckhorn Bar crossing several hundred feet of the South Fork Salmon River road was lost and this section of road is closed to all vehicles. Because the bridge across the South Fork Salmon River is gone, the loop between Buckhorn Bar Campground and Camp Creek Campground is no longer a loop. The only alternative access is at Jakie Creek near the Reed Ranch landing strip, a few miles south of Buckhorn Bar. A trail user can go out and back the same way. Please note that along the trail there are areas where the sections of trail were nearly washed out by the flood. Use caution along this route. The Sturgill Mountain Lookout area in the Weiser Ranger District provides three scenic ATV trail loops comprising about 23 miles total. The Sturgill and Hitt Mountains typically open up to snow-free travel in early July because of high-elevation. These trail loops are two-track ATV trails, with several steep sections. Overall the trails are rated moderate in difficulty by Forest Service standards. Each loop is a section of backcountry road or 4WD track linking the trails together. Riding time varies, but it would take approximately six hours to complete the three loops shown on the trip map. Trail mileage would vary according to where you start the ride. The highlights of these loops are great views, Sturgill Lookout itself is 7,600 feet in elevation with stunning views of the surrounding landscape, including the Eagle Cap Wilderness, Seven Devils Wilderness and Cuddy Mountains, and chances to see wildlife. These ATV loop trails are best accessed from the Mann Creek Reservoir Road shown as Forest Road #009 on the Payette National Forest map. You can park at one the campgrounds and ride from there, or drive to the top of Sturgill and ride. It's approximately 20 miles from U.S. Highway 95 to the Sturgill Lookout Trailhead as shown on the map. The Custer Motorway features a great 40-mile historic tour of numerous mines and towns in the Yankee Fork, Custer and Bonanza areas, east of Stanley, Idaho, in the Salmon-Challis National Forest. Learn about the history as you encounter 17 interpretive sites between Sunbeam and Challis. The road is open to OHVs, but please watch out for and yield to full-sized vehicles on the one-lane dirt road. Start the ride either from Sunbeam and go up the Yankee Fork, or start in Challis and ride over to the Yankee Fork area. There are numerous areas where you could camp along the way. Bring plenty of food and water. No services. There are several natural hot springs pools near Sunbeam Dam. The Sawtooth National Recreation Area doesn’t have very many ATV trails, but this one is a dandy. It provides a 12-mile tour of the Washington Basin area and Black Rock Mine, where you will be surrounded by high peaks and spectacular scenery. A side hike/fishing trip to the Champion Lakes would add even more zest to the trip. The entire ride is approximately 24 miles out and back. Drive to the Smiley Creek area of the Sawtooth Valley, south of Stanley, and turn east on Pole Creek Road #197. Go about four miles to a corrals/parking area. Leave your vehicle here. Ride up the jeep trail along Pole Creek. You will have to cross the creek several times. Cross a saddle into Germania Creek. Go left at the Three Cabins Creek junction and climb a gnarly jeep trail into Washington Basin. Check out the Black Rock Mine, and side hike to the ridge if you wish. Retrace your tracks to the trailhead. Be sure to bring plenty of food and water. No services. The Leaning Fir-Stinking Springs Loop provides a 15-mile tour of Kelly Mountain and Stinking Spring Canyon east of Idaho Falls in the Caribou-Targhee National Forest. You can base camp by the Leaning Fir trailhead. Take U.S. 26 east of Idaho Falls, heading for Swan Valley, cross the Snake River on the road to Heise Hot Springs, and then take Forest Road 218 up Kelly Canyon to the Leaning Fir Trailhead #169 on the right. The ride starts here. Climb up a ridge on Leaning Fir trail to the top of Kelly Mountain. Take a spur trail out to a viewpoint overlooking Kelly Canyon. Retrace your steps back to the junction with Stinking Spring Trail and descend that trail down the Stinking Spring canyon. Once at the bottom, turn left on Forest Road #206 and follow that around to the Table Rock Canyon Road #217. Go left and return to the Leaning Fir trailhead. Be sure to pack plenty of food and water. No services. The Milner and Centennial ATV trails in the Nez Perce National Forest offer a great opportunity to soak up some Idaho history while enjoying a lengthy ride from Grangeville to the Bullion Mine adjacent to the mile-deep Salmon River canyon. The full ride is 41 miles one-way, or 82 miles out and back. You may need to carry extra fuel, depending on the range of your ATV. It’s best to start the ride from the Fish Creek trailhead and campground, seven miles south of Grangeville. Follow the Milner Trail #641 16 miles to Rocky Bluff Campground, and then you’ll tie into Centennial Trail #88. Be sure to bring plenty of food and water. Click on the trail brochure below for more detailed information. The 101-mile primitive Magruder Corridor Road winds through a vast primitive area in between the Frank Church-River of No Return Wilderness and the Selway-Bitterroot National Forest, from Elk City, Idaho, to Darby, Montana. The trip offers solitude and pristine beauty as well as expansive mountain views. The landscape is much the same as when the Nez Perce Indians and other early travelers crossed the area more than a century ago. The corridor was created in 1980 when the Central Idaho Wilderness Act was passed, leaving a unique road that enables a traveler to drive between the two wilderness areas. There are many great areas to set up camp and explore side trails along the way. Be sure to plan several days for the trip so you can enjoy the countryside. To help safeguard the naturalness of the area, please practice “leave no trace” techniques. Remember that no motorized vehicles are allowed on wilderness trails. The Clarke Mountain OHV Trail System is accessed from the Cottonwood Creek trailhead, which is approximately 23 miles from Pierce, Idaho, on the Pierce-Superior Road 250. There are 25 miles of OHV routes suitable for both ATVs and motorcycles, and Trail 603 offers one of the few, true jeep routes on the Clearwater National Forest. These trails offer beautiful views of the Orogrande Creek and North Fork Clearwater River drainages, and a chance to visit the old Clarke Mountain Lookout site, a spectacular vista. Parts of the system, particularly Trail 602, are quite steep and winding, and are not for inexperienced riders or the faint-of-heart. The Cottonwood Creek Trailhead features a parking area, campsites and a public toilet. The Deception ATV loop is a challenging 28-mile ride for ATVs and motorcycles in the	Clearwater National Forest near Pierce and Orofino. The ride features some sections of paved road, so please watch for and yield to full-sized vehicles. Take Idaho State Highway 11 north from U.S. 12, east of Orofino, to Pierce, and then go right on French Mountain Road #250 to reach the trailhead at Cedars Campground along the North Fork of the Clearwater River. The loop is best ridden counter-clockwise. Start by riding Trail #815 along the North Fork. In a mile, the trail joins #810. In two miles, cross the North Fork and hook up with Trail #811, which climbs out of the valley and joins Trail #812. Take a side trip on Trail #812-A to Deception Point (elevation 5,462 feet) for a great view. Continue the loop on Trail #813, pass Deception Saddle, and then follow Trail #814 on an ATV trail as it cruises over to Jungle Point, climbs to Spring Hill, and then descends back to the Cedars trailhead. Bring plenty of food and water. No services. The 4th of July Pass ATV trail follows Trail #800 on a 35-mile ride through the deep woods of the Idaho Panhandle National Forest on the north side of Interstate 90. There is a parking area on the north side of the freeway by the 4th of July Pass exit. Start the ride by following a multiple-use road for a short distance, and then go left on Trail #800 and ride the loop clockwise. The trail is signed throughout the length of the ride. You’ll pass by Copper Mountain, Marie Saddle and Curren Saddle. You can ride the route clockwise or counter-clickwise. Bring a lunch and some beverages and enjoy the ride. It takes 2-4 hours to complete, depending on your speed of travel and how often you stop along the way. 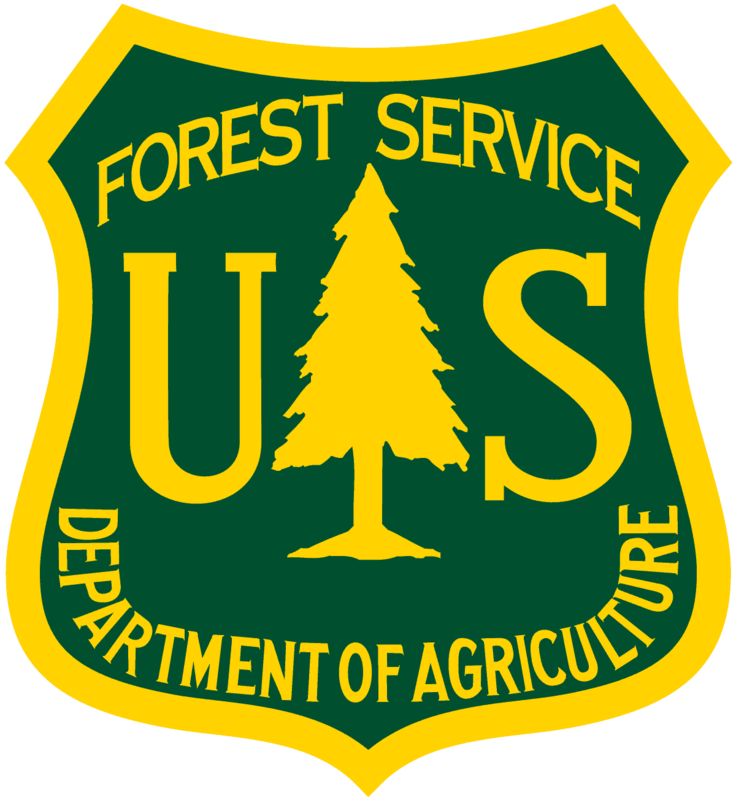 Near Kingston and Enaville in northern Idaho, the Fernan Ranger District of the Panhandle National Forests has developed a 12-mile ATV loop in the Steamboat Creek area. Half of the route is on an ATV trail, and the other half is on multiple-use Forest Service roads so watch out for full-sized vehicles. To begin, take the Kingston exit on Interstate 90, and go north on the Coeur d’Alene River Road. After you go through Enaville, watch for a left-hand turn on Old River Road. Follow Old River Road (County Road 1-C) for a number of miles to the Steamboat Creek Road #400. Go left on #400 and drive up to a trailhead at the junction of roads #400 and #409 where the East Fork and the West Fork of Steamboat Creek merge. Park at the trailhead. Go north on Forest Road #409 along the West Fork about 5 miles to the top of the drainage, and then peel left on ATV Trail #803. The trail contours along the side of the mountain and eventually joins Forest Road #965. Follow that road downhill as it turns into Forest Road #1005 and #257. Forest Road #257 (Omaha Creek Road) drops out on Forest Road #400 very close to the trailhead. Turn left and return to your vehicle. Be sure to bring plenty of food and water. No services. The Boise Ridge ATV loop provides a nifty 26.5-mile tour of the Boise Foothills and the forested Boise Ridge Ridge. The route climbs to the top of the Boise Ridge, drops down to the Robie Creek area near Lucky Peak Reservoir, and then heads back to the ridge. The route is best ridden from a motorized recreation parking lot on N. 8th Street, 3 miles from the edge of town. Drive up to the parking area and fire up your ATV. Climb 8th Street to a T-junction at the Boise Ridge Road. Turn left and ride to Eagleson Summit. Turn right at the summit and descend to Crooked Summit on Forest Road #263. At Crooked Summit, go straight at a Y junction and ride downhill on Forest Road #261. At the junction with Robie Creek Road, take a hard right and ride to Aldape Summit. Turn right at the summit, and ride back to the 8th Street junction, and retrace your tracks to the parking area. You also can ride the loop starting from the end of pavement on Rocky Canyon Road. Be aware that you will encounter many different types of recreationists in the Boise Foothills – hikers, mountain bikers, motorcycle riders and horseback rider. Please use caution and go slow on blind corners. The Minidoka District of the Sawtooth National Forest recommends an 11-mile ride in the upper portion of the Rock Creek Trail system south of Kimberly near Twin Falls. The South Hills are beautiful to explore, with aspen trees in the draws and open slopes in the higher elevations. Watch for wildlife. The ride starts from Diamondfield Jack Campground, along Forest Road #515. Take Interstate 84 to Kimberly and go south on ID 50. Bear left on North 3800 East and go directly south. The highway turns into County Road G-3, also known as Rock Creek Road. Follow G-3 to the end of the pavement at	Diamondfield Jack Campground. Pick up Trail #239 from the campground and ride north several miles to Trail #241. Turn right and ride to Trail #163, go left and ride to Trail #004, the Third Fork of Rock Creek. Go south on Trail #004 several miles until you hit Forest Road #500. Turn right on the #500 road and return to the campground. The Pennal Gulch Trail is an 11.5-mile out-and-back jeep trail ride in the bluffs on the east side of the valley near Challis. Keep your eyes peeled during the ride because you may see bighorn sheep, antelope or deer. To get to the trailhead, travel south of Challis on U.S. 93. Turn north on Spring Road for about 3.3 miles and then follow Friday Spring Road to the parking area and trailhead by the Challis wild horse corrals. The ride starts here. Follow the red highlighted route to the actual trail. The jeep trail is suitable for ATVs, motorbikes and mountain bikes. It runs north along the hills and bluffs climbing more than 800 feet above the Salmon River. The trail is managed by the Challis Field Office of the Bureau of Land Management. The Lombard Trail, a brand new trail dedicated to Idaho Parks & Recreation Board Member Ernest Lombard in September 2010, is an ATV trail that takes riders from the Land of the Yankee Fork State Park headquarters in Challis over Blue Mountain to the old mining ghost town of Bayhorse. Trip distance is about 13.5 miles one-way. Travel time is about 1.5 hours. The trail is suitable for all abilities. Start at the Land of the Yankee Fork State Park in Challis at the junction of U.S. 93 and Idaho Highway 75. Park in the main parking lot. Pick up the Lombard Trail #4369 in front of the visitor center and ride uphill toward Blue Mountain. The trail is well-signed all the way. In the first couple miles, there is a fairly steep descent	and steep uphill to negotiate. Otherwise, the trail gradient is moderate. The views of the Challis area and surrounding mountains becomes more impressive as you gain elevation. After going over the first saddle at Blue Mountain, the trail follows a number of ridgelines over to Keystone Gulch. Turn left on Trail #052 at 7.7 miles, then descend 5.5 miles to the Bayhorse Trailhead. From here, you can explore the Bayhorse Trail (see Ride #28) and the historic mining area, or many other trails. More than 150 miles of ATV and singletrack motobike trails can be accessed from Bayhorse or the Custer Motorway. The Bayhorse Pacific Mine 15-mile Loop provides an introduction to the old mining ghost town of Bayhorse and takes riders on a fun tour of the mountain where the Pacific Mine once produced silver ore and a smelter, mill and charcoal kilns processed the ore. The ride is best for ATVs. To reach Bayhorse, take Idaho 75 to Bayhorse Road, about eight miles west of the Idaho 75-U.S. 93 junction south of Challis. Turn onto the Bayhorse Creek Road and stay left after crossing the bridge. Drive up 3.3 miles to the Bayhorse town site, which is part of Land of the Yankee Fork State Park, and park. While you are there, take the walking tour of the old ghost town. It will set the stage for your ride.Follow Forest Road #052 to ATV Trail #390, turn right and ride uphill to Beardsley Gulch and follow the switchbacks to the top of the hill. Check out the old mine. The trail goes downhill and heads over to a creek. Turn right at the creek and return to Bayhorse.Optional add: To lengthen the ride, after reaching the top of the mountain, bear left at the creek-crossing and ride uphill on Trail #378. Follow that until it dumps out onto a dirt road and follow the road as it switchbacks over to Road #052. Turn right on #052 and follow the road/ATV trail back to Bayhorse. Canfield Mountain, located just north of Coeur d'Alene, is a "phenomenal" place to go motorbike riding, according to local OHV riders. 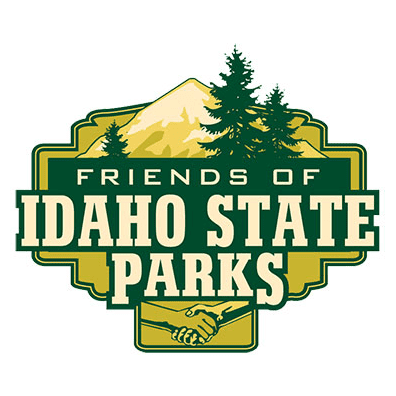 The trail system in the area was created in the early 1990s through a partnership between the U.S. Forest Service and Idaho Department of Parks & Recreation, using funds from the state off-highway vehicle program, timber sale revenues and Forest Service trail-development monies. There are a multitude of trails to explore in the Canfield Mountain area. Trail A is a good choice for motorbike riders to do a loop ride and get to the know the area, and then there are much longer rides you can experience. Locals recommend Trail #28 to Horse Haven Meadows and back as a fun day-long motorbike ride. It's 80 miles round-trip, and takes a full tank of gas to make the full length of the ride. To reach the trailhead, go north on 15th Street in Coeur d'Alene to Nettleton Gulch Road. Turn right and follow Nettleton Gulch Road 2.2 miles to the trailhead. There are specific trails and road open to ATVs as well. See the trail map for details. Be aware that the Canfield Mountain trail system is open to hiking, mountain biking and horseback riding, in addition to motorbike riding and ATV riding. So be sure to slow down on blind corners and watch for other trail users. Check weather and trail conditions before you head out. Contact information here.Just northwest of Montpelier lies an extensive network of singletrack motorbike trails, ATV trails and forest roads that create loops of varying length and difficulty for OHV riders and other users. It'd be easy to spend an entire day getting lost in this fishnet of routes. This 8-mile ride is intended to provide an introduction to the area for ATV/motorbike riders. See the Mecham Hollow-Sherman Peak Loop or the Paris Canyon-Highline Trail Loop for longer rides in the vicinity.To reach the Mecham Hollow trailhead, take U.S. Highway 89 west out of Montpelier and head for Ovid. Turn right on State Highway 36 in Ovid and drive into the mountains. Just before you reach the Caribou-Targhee National Forest boundary, turn right on Forest Road 401. Go past the North Canyon trailhead, and follow Road 401 about 3 miles to the Mecham Hollow Trailhead. Park. The ride starts here. There is some primitive camping at the trailhead, but there are no services such as water or a toilet.To begin the ride, go west on Road 401 for less than a mile, then turn right on Road 951. In less than a mile, turn right on Trail 442 and ride some twisty trail. Bear right on Trail 442A at the next junction. In a little over a mile, turn right on Road 404 and follow that to Road 401. Go left on Road 401, then peel right on Trail 344, then right again on Trail 345. Follow that for about two miles to a junction at Road 402 and Road 439. Follow Road 439 to Road 425. In a half-mile, go right on Trail 316 at the next junction, and follow it back to the trailhead.These trails and roads are open for the summer season. In most years, snow will prevent access to this ride until mid-June. The Mecham Hollow-Sherman Peak Loop provides a great tour of the mountains northwest of Montpelier in the Caribou-Targhee National Forest. The ride is about 25 miles long. It's open to motorbike and ATV use. This loop features a mix of roads and ATV trails.To reach the Mecham Hollow trailhead, take U.S. Highway 89 west out of Montpelier and head for Ovid. Turn right on State Highway 36 in Ovid and drive into the mountains. Just before you reach the Caribou-Targhee National Forest boundary, turn right on Forest Road 401. Go past the North Canyon trailhead, and follow Road 401 about 3 miles to the Mecham Hollow Trailhead. Park. The ride starts here. The trailhead has some primitive camping areas, but no services.To begin the ride, take Trail 316 north about two miles to Road 425. Continue north on Road 425 for over 5 miles to a junction with Trail 437. Turn right on 437 and merge onto Trail 450. At the next junction, bear right on Road 436. Follow that for about two miles, then turn right at the next fork on Road 403. Follow Road 403 for more than five miles back to Road 425. Now you've completed the loop around Sherman Peak. Turn left on Road 425, and then bear right on Trail 316 to complete the loop.These trails and roads are open for the summer season. In most years, snow will prevent access to this ride until mid-June. This is a 22-mile loop that provides a great tour of the Bear River Mountains above Bear Lake, awesome views of Bear Lake and the Cache Valley from the Highline Trail, and you'll have a chance to check out two popular points of interest -- the Paris Ice Caves and Bloomington Lake. The loop can be ridden in either direction with an ATV or motorbike. Caution: Both Paris Canyon and Bloomington Canyon roads can be very busy with car and truck traffic. Ride defensively at all times.From the town of Paris, turn west on Forest Road 421. Look for signs to Paris Campground and turn left on Road 427. Approximately one-quarter mile before the campground is a short road to the left. Park and unload anywhere in this vicinity. Once on your ATV or motorbike, retrace your path on Road 427 to Road 421 and turn left, going up-canyon. Stay on 421 for 5.5 miles to the intersection with Road 408. Go left on 408. Travel about a half-mile and stop for a break to view the Paris Ice Caves. Continue west on 408 to the intersection with Highline Trail #316. Follow the Highline Trail on the mountain spine that divides the Bear Lake Valley and Cache Valley. Stop periodically to enjoy the views. At the next junction, bear left on Trail #366 and follow Road 1064 to the intersection with Road 409. Notice the snow depth marker at this intersection where the snow is often over 10 feet deep. Optional side trip: Take a right on Road 409 and travel to the parking lot and trailhead for a hike into Bloomington Lake. There are vault toilets and picnic tables here at the parking lot. It's definitely worth hiking a half-mile into this beautiful 5-acre lake at the base of towering cliffs. Be sure to go beyond the first ‘lake’ you see ... it's just a pond. On a hot day, you may see people fishing or swimming. Upon returning to the parking lot, follow Road 409 down-canyon to the forest boundary. Turn left on Trail 365 just before a cattle guard and return to the Paris Canal trailhead.These trails and roads are open for the summer season. In most years, snow will prevent access to this ride until mid-June. Check weather and trail conditions before you head out. Contact information here.The Lewis and Clark Backcountry Byway is a 39-mile loop that rises approximately 3,000 vertical feet from the Lemhi Valley floor to the Continental Divide on the Idaho-Montana border. The byway is a single-lane dirt road that's open to motorbikes, ATVs, UTVs, cars and trucks. It has a number of interpretive signs along the way. The most significant historic site on the route is Lemhi Pass, 7,373-foot elevation, where Lewis & Clark and the Corps of Discovery peered for the first time into the west side of the Continental Divide. After speaking to the Lemhi band of the Shoshone people, Lewis & Clark learned that the Salmon River would not be passable for the explorers and they would have to take an overland route via Lolo Pass to reach the Pacific Ocean. Because of the historic nature of the route, it's a good idea to pack a lunch and some beverages and enjoy learning about the Lewis & Clark expedition along the way.The Lewis and Clark Backcountry Byway is normally traveled in a clockwise direction. Starting from Tendoy, go north on a dirt road for 3.5 miles to Forest Road #185 on Warm Springs Creek. Turn right and begin the long climb to the Continental Divide. You'll pass by several historic stops at mile 8.5 miles and 9.5 miles. Eighteen miles up the road, you'll reach the Continental Divide. You may want to stop and stretch your legs. It's a total of 26 miles to Lemhi Pass, where there is a 4-way junction and the Sacajawea Memorial. Take your time here and enjoy the views. There also is a wildflower trail at the pass. Continuing on the byway, turn right at the pass and follow Agency Creek on a steep downhill back to the valley floor. At mile 33, you'll come to	Agency Creek campground, where you may wish to stay. The ride finishes at the Tendoy store at mile 39. After the ride, you also may wish to visit Sharkey Hot Springs for a soothing soak in a natural mineral water pool. The Discovery Hill OHV Trails, located in the sagebrush-covered foothills of Salmon, are the most popular OHV trails close to town. The area is managed by the Salmon Field Office of the Bureau of Land Management. The Discovery Hill area has a number of trails to explore, so the loop ride described here is meant to introduce OHV riders to the area. Feel free to explore more of the trails on your own.To reach the trailhead, take U.S. Highway 93 into the town of Salmon. Turn right on South St. Charles Street before you cross the Salmon River. Follow South St.Charles across the Lemhi River onto a gravel road. The road winds up a hill until you get to a cattlegaurd. Proceed through the cattle guard, and you'll see the the Discovery Hill Trailhead on your right just past the trailhead. If you turn right at the cattle guard you will reach the Sacajawea Motor Sports Park where cross country travel is allowed so you can ride your ATV or Motorcycle over jumps, and around the landscape located within the Motorsports Park boundary. There is a rest room located in the parking area.The loop ride described here is open to ATVs and motorbikes. The trail tread is all 4WD road. From the parking area, take Trail #121 past the motor sports park and follow it for several miles uphill to a junction with Trail #135. Turn right on Trail #135 and follow that about two miles to Trail #138. Turn left and climb up a ridge for about 6 miles to a junction with Trail #121. Turn left on Trail #121 and follow that through a creek bottom and down the hill for approximately 10 miles back to the trailhead. Feel free to explore other trails during the ride as you wish. This loop is approximately 18-20 miles long. Travel time is approximately 2 hours. Check weather and trail conditions before you head out. Contact information here.The Freeman Creek OHV Trail is a gnarly, rocky 4WD road that leads up to Freeman Peak and the Idaho-Montana border in the Beaverhead Mountains. Local riders advise that the route is extremely rocky and rough, but if you're willing to take on the challenge, it's a good ride. At the summit, it's possible to side hike to a high mountain lake on the Montana side to do some fishing, and one could explore the high ridge in the Beaverhead Mountains and enjoy big views from there.To begin, drive north of Salmon on U.S. 93 to the little town of Carmen and turn right on the Carmen Creek Road. Proceed up the road about 5.5 miles to the Freeman Creek Road (BLM Road #148) on the right. Head up the Freeman Creek Road a short ways and look for a pullout to park on the right. The ride starts there.The ride along Freeman Creek follows the rough 4WD track to the top of the mountain. You will cross over a rock slide at one point. Be sure to pack plenty of food and water for a full day ride, and it'd be a good idea to pack equipment to fix a flat tire because of the rough road. The route is approximately 7 miles one-way. When the Freeman Creek Road crosses from BLM land to Forest Service land, the route number changes to from BLM Road #148 to Forest Road #033. Go as far as you want, turn around, and return to the trailhead. There are some old mines in the vicinity. This ride was provided courtesy of the Treasure Valley Trail Machine Association. TVTMA hosts a Fun Run every year in the spring. The 29-mile ATV loop described here is one of the primary routes that people ride during the event. This ride is meant to acquaint ATV riders with some of the trails in the Owyhee Front near Hemingway Butte. There are hundreds of miles of trails in the area, so this ride is just one of many available. Refer to the BLM Murphy trail map to see the full range of options.To reach the Chalky Butte Trailhead -- we're assuming most people will be traveling primarily from Interstate 84 in the Treasure Valley -- take Idaho State Highway 45 south of Nampa and drive south toward the Snake River. Cross the Snake at Walter's Ferry and turn left on Idaho State Highway 78. Then, take an immediate right on Upper Reynolds Creek Road and head for Hemingway Butte. Pass the trailhead for Hemingway Butte and park at the Chalky Butte Trailhead. The ride starts here.The route involves a number of Figure 8's. Take Trail H800 out of the trailhead and follow it around a small butte. At the second major junction, turn left on H140 and follow that for several miles over to a four way junction. Turn right on H200, then right again on H232 and follow that a couple of miles to the 3702 Road. Take a hard left at this junction on H240 and follow that for about a mile. At a four-way junction, go straight on H172 a twisty trail through a canyon. Follow the trail around to the right, and then take H242 through another canyon. At the next junction, bear right on H252. Go left at the next junction on the 3702 road. Then left again on R312. Ride that across a plateau to a six-way junction. Turn left on H200 and ride across the face of some hills back to the H240 junction. Go left on H240 , then right on H231 and follow that for several miles. Turn right on H360, follow that for about a mile, and then left on H140. Turn right on H300, then another right on H331 and turn to the start/finish area at the Chalky Butte Trailhead. Check on the Treasure Valley Trail Machine Association web site if you'd like to participate in their fun run events in the spring. They typically choose different routes each year. This ride was provided courtesy of the Treasure Valley Trail Machine Association. TVTMA hosts a Fun Run every year in the spring in the Owyhee Front area, south of Nampa. The 27.5-mile motorcycle loop described here is one of the primary routes that people ride during the event. This ride is meant to acquaint motorbike riders with some of the trails in the Owyhee Front. There are hundreds of miles of trails in the area, so this ride is just one of many available. Refer to the BLM Murphy trail map to see the full range of options.To reach the start/finish area at the Diamond Basin Trailhead -- we're assuming most people will be traveling primarily from Interstate 84 in the Treasure Valley -- take Idaho State Highway 45 south of Nampa and drive south toward the Snake River. Cross the Snake at Walter's Ferry and turn left on Idaho State Highway 78, heading for Murphy. Turn right in Murphy on the Rabbit Creek Road, and then in about one mile, turn left on the Silver City Road (Route 430). Follow the Silver Creek Road about 7.5 miles to Road S420, which leads to the Diamond Basin Corrals and Trailhead Area. The ride starts here.The best way to ride this route is counter-clockwise. Take S413 from the Trailhead area and ride north. You'll cross a creek bottom and the route turns to S412. Ride north to a trail crossing with S400 and take R370 less than a mile to the next junction. Turn right on R365 and follow that for several miles. At the next 4-way junction, turn right on S350 for a half mile, then veer left on R349 to the Briar Springs area. At the next junction, take R300 back in the similar direction for	several miles. Turn right on S100 and follow that over to Rabbit Creek. Here, you can follow S100 over to the Rabbit Creek Road and connect to the ATV Fun Run route if you wish. (See Owyhee Front ATV Fun Run Ride for details on that route). To complete the motorcycle loop, turn left from S100 onto S200 and follow S200 for more than 5 miles. At a crossing with S400, you'll turn right on S460, which will turn into S461 and then S430. At the next junction turn right on R570, then a left on R571 and follow that to the Start/Finish area.Check on the Treasure Valley Trail Machine Association web site if you'd like to participate in their fun run events in the spring. They typically choose different routes each year. The Sheep Mountain-Camp 60 OHV Loop is a popular ride in northcentral Idaho, near Orofino. The Clearwater National Forest, in partnership with the Orofino-based PLAY OHV club, has signed the trail at major intersections to help OHV riders find their way around the loop. The full loop is approximately 55 miles in length, and it's rated for all abilities. The trail tread is suitable for motorbikes or ATVs. The trails cruise through the dense and lush forests of the Clearwater National Forest ... you will see lots of big views, maybe some wildlife and mountain wildflowers. Be sure to bring plenty of food and water for the ride. The ride takes about 4-6 hours, depending on your speed and skill.To access the trailhead, take State Highway 11 northeast of Orofino to Headquarters. Turn right on Forest Road #246 and follow that more than 10 miles to the trailhead at Camp 60. There is a large parking area at the trailhead, public rest rooms and space for overnight self-support camping.To begin the ride, go east on Forest Road #246, cross Tepee Creek, and then take the next left on the Sheep Mountain ATV Trail. Head north for Deadhorse Saddle. About half-way to the saddle, you'll bear left at a junction. Once at Deadhorse Saddle, cross Forest Road #683, pick up the trail and continue heading north. At Sheep Mountain Saddle, take Forest Road #681 toward Swanson Saddle. Stay on #681 at Swanson Saddle, and loop around clockwise to the Sheep Mountain Trail. Go straight over the top of Sheep Mountain. At the next junction, turn left and follow the green trail to a hairpin corner near Swanson Saddle. Go left at the hairpin and follow the trail around to Forest Road #246. Follow that trail for a number of miles until you come to a junction just before Deadhorse Creek. Go right at that junction and follow the OHV trail back to Camp 60. If you're still thirsting for more adventure, head south by the Camp 60 trailhead and take the ATV trail (Route #670) to a junction. Go left to Lodge Creek and ride a ridge back to the #246 road, turn left and return to the trailhead. information here.The historic Lolo Motorway -- "the #500 road" as it's known locally -- parallels the path taken by the Lewis & Clark Corps of Discovery as they searched for an inland waterway to the West in 1805. It was a rough journey, if you're familiar with Lewis & Clark history. Trying to get across the Bitterroot Mountains in late September, the group encountered deep snow, fallen trees, a scarcity of wild game and more as they plodded through the rough-hewn landscape on the heavily wooded ridgeline north of the Lochsa River.The Nez Perce-Clearwater National Forest maintains the single-lane dirt road for four-wheel-drives, ATVs, UTVs, and other recreational vehicles during the summer months. The best time to visit is between late June and September. Otherwise, you may encounter snow.ATV and UTV groups like to ride the Lolo Motorway in four days, hauling trailers with camping gear. The best place to start is from Lowell, 99 miles east of Lewiston, Idaho. Three Rivers Resort in Lowell has an RV park with hookups where you can base camp prior to the ride. The standard approach is to ride from Lowell approximately 50 miles or so to a half-way point for the first night's camp. On the second night, you can plan on staying in the tiny town of Powell, where you can refuel, buy any supplies you need, take a shower, and stay at the Lochsa Lodge or camp nearby. Then you retrace your tracks, ride another 50 miles or so from Powell to a point where you'd like to camp on the #500 road, and then return to Lowell on the fourth day. It's about 110 miles from Powell to Lowell, all on Forest Service dirt roads. The various points of interest listed below often have an interpretive sign to explain the historical significance. There are numerous places where you can camp along the way. There are no services on the trail, so it would be self-support camping. Much of the trail follows a high ridge without access to water, so be sure to bring plenty of water for drinking during the day, and for camping.Here's a mile-by-mile guide to the full route, starting from Lowell and heading for Powell.Clear your trip odometer. Go east on U.S. 12 approximately 1 mile from Lowell. Turn left on Big Hill Road, Forest Road #189 and begin climbing to the Lochsa Ridge. There is a maze of roads that you will ride through. Forest Road #189 merges into #5510.Mile 10.5, #5515 merges with #426. Mile 11.3, #426 merges with #101. This road will take you to the #500 road. Mile 21, Fan Creek Saddle. Continue on #101. Mile 31.1, Canyon Junction and Mex Mountain. Merge onto the #500 road. Now you're on the Lewis and Clark Historic Trail. Mile 36.9, Boundary Junction and Hungery Creek. This name "hungery" (sic) hints at how the Corps of Discovery was feeling at this point on the trail. Mile 44.7, Rocky Lake junction. Take a side hike to the lake and go fishing. Mile 45.6, Weitas Meadows. Mile 54.5, Sherman Saddle and Horse Sweat Pass Mile 60.2, Dry Camp Mile 62, Bald Mountain Mile 68.6, The Smoking Place Mile 73.4, Saddle Camp Mile 74.4, Devil's Chair Mile 75.9, Howard Camp Mile 78.6, Moon Saddle Mile 80.7, Indian Post Office (huge rock cairns)} Mile 85.5, Bears Oil and Roots Camp Mile 89.3, Cayuse Junction Mile 93.7, Snowbank Camp Mile 100.5, Papoose Junction, and junction with Forest Road #569 to Powell. Mile 106.3, Arrive at U.S. 12, Powell Ranger Station and Lochsa Lodge.For more information about the Lolo Motorway, contact the Lochsa Ranger District, 208-926-4274, or the Powell Ranger District, 208-942-3113.Consider bringing along a book about the Lewis & Clark Corps of Discovery and read about their travels as you go. Undaunted Courage and the abridged Journals of Lewis & Clark are two that we recommend. The day-long ride from Whitebird to the Historic Kirkwood Ranch and Museum in Hells Canyon is a real treat. It features more than 5,000 vertical feet of climbing as you ascend the mountains from Whitebird toward Pittsburg Saddle, and then you'll stay on a high ridge over to the Kirkwood Corrals before you descend into Hells Canyon to visit the Kirkwood Ranch and Museum. Total distance is about 29 miles one-way to the Kirkwood Museum, or about 60 miles round-trip. The ride follows major Forest Service roads, so it's open to motorbikes, ATVs and UTVs. You'll be on county roads, so a street-legal license is required on your OHV.The old Kirkwood Ranch and Museum were once owned by the late Idaho Governor Len B. Jordan and his wife, Grace Jordan. The museum has a lot of interesting items on display, including early photos of Hells Canyon, photos of the old sheep ranch, newspaper clippings, period clothing, furniture and early farming implements. The museum is very popular with people who boat the Snake River, OHV riders and hikers. Be sure to sign into the guest book at the museum and indicate your method of travel.To begin the ride, park in a large BLM pull-out a half-mile up the Deer Creek Road, Forest Service Road #493 and unload your OHV. Follow #493, a well-signed and well-maintained gravel road, and climb 9.75 miles to a junction with Forest Road #420 near the top of the ridge. Bear left on #420 and follow the road as it contours along the ridgetop for many miles. You'll come to a saddle at 16.4 miles (4,800-foot elevation). At mile 17.8, you'll pass by the Dixon Corrals. Stay on #420 to mile 22.5, where you reach a junction with the Kirkwood Corrals. Turn right on Forest Road #2062 and descend the steep grade to Kirkwood. At mile 23.6, go left at a junction and stay on #2062. At mile 28.8, you'll arrive that the ranch. Take some time to explore the ranch property and visit the museum before you ride back.Be sure to pack a lunch, snacks and some beverages for the long trip. Take your time and enjoy the fetching views of Hells Canyon and the Salmon River Canyon! The Snake River area gets very hot in mid-summer, so this ride is best done in the spring and fall.Thanks to the Idaho Pathfinders ATV Club in Whitebird for sharing their favorite rides. The Deer Creek Road, Forest Service Road #493, is a well-signed and well-maintained gravel road that climbs more than 3,000 feet to a high saddle and then descends more than 3,200 feet over to Pittsburg Landing, a major boat ramp for jet boats and float boats, in Hells Canyon, the deepest gorge in North America. So this is a scenic ride that's suitable for motorbikes, ATVs and UTVs. It is a county road, so a street-legal license is required on your OHV. The Deer Creek Road also gets a fair bit of traffic by trucks hauling boats over to Pittsburg Landing, so it's important to drive defensively and watch out for traffic on blind corners on the way up and the way down.The ride is about 17 miles one-way, 34 miles round-trip. Locals like to take a side trip on Forest Service Road #1805 over to Big Canyon. That side trip is 11.3 miles one-way. The #1805 road is rougher than the road to Pittsburg. If you go over to Big Canyon, be sure to open and close the gates in that area. The Forest Service keeps a number of pack stock animals in there during the winter, and at times, recreationists have neglected to close gates, and the animals have gotten loose. Thanks!On your way over to Pittsburg Landing, you'll see an interpretive sign by Upper Pittsburg Landing that leads over to some Native American petroglyphs. Check that out. If you like to fish for steelhead, bring your fishing pole during steelhead season. The Snake River near Pittsburg is a good place to catch steelhead in the fall and spring. Make sure you have a fishing license and a steelhead permit.No matter what, be sure to bring a lunch, snacks and some beverages. Take your time and enjoy the views!You also can camp at Pittsburg Landing if you wish. The area gets very hot in mid-summer, so the camping is best in the spring and fall.Thanks to the Idaho Pathfinders ATV Club in Whitebird for sharing their favorite rides. The historic Lolo Motorway -- "the #500 road" as it's known locally -- parallels the path taken by the Lewis & Clark Corps of Discovery as they searched for an inland waterway to the West in 1805. It was a rough journey, if you're familiar with Lewis & Clark history. Trying to get across the Bitterroot Mountains in late September, the group encountered deep snow, fallen trees, a scarcity of wild game and more as they plodded through the rough-hewn landscape on the heavily wooded ridgeline north of the Lochsa River.The Nez Perce-Clearwater National Forest maintains the single-lane dirt road for four-wheel-drives, ATVs, UTVs, and other recreational vehicles during the summer months. The best time to visit is between late June and September. Otherwise, you may encounter snow.ATV and UTV groups like to ride the Lolo Motorway in four days, hauling trailers with camping gear. The best place to start is from Lowell, 99 miles east of Lewiston, Idaho. Three Rivers Resort in Lowell has an RV park with hookups where you can base camp prior to the ride. The standard approach is to ride from Lowell approximately 50 miles or so to a half-way point for the first night's camp. On the second night, you can plan on staying in the tiny town of Powell, where you can refuel, buy any supplies you need, take a shower, and stay at the Lochsa Lodge or camp nearby. Then you retrace your tracks, ride another 50 miles or so from Powell to a point where you'd like to camp on the #500 road, and then return to Lowell on the fourth day. It's about 110 miles from Powell to Lowell, all on Forest Service dirt roads. The various points of interest listed below often have an interpretive sign to explain the historical significance. There are numerous places where you can camp along the way. There are no services on the trail, so it would be self-support camping. Much of the trail follows a high ridge without access to water, so be sure to bring plenty of water for drinking during the day, and for camping.Here's a mile-by-mile guide to the full route, starting from Lowell and heading for Powell.Clear your trip odometer. Go east on U.S. 12 approximately 1 mile from Lowell. Turn left on Big Hill Road, Forest Road #189 and begin climbing to the Lochsa Ridge. There is a maze of roads that you will ride through. Forest Road #189 merges into #5510.Mile 10.5, #5515 merges with #426. Mile 11.3, #426 merges with #101. This road will take you to the #500 road. Mile 21, Fan Creek Saddle. Continue on #101. Mile 31.1, Canyon Junction and Mex Mountain. Merge onto the #500 road. Now you're on the Lewis and Clark Historic Trail. Mile 36.9, Boundary Junction and Hungery Creek. This name "hungery" (sic) hints at how the Corps of Discovery was feeling at this point on the trail. Mile 44.7, Rocky Lake junction. Take a side hike to the lake and go fishing. Mile 45.6, Weitas Meadows. Mile 54.5, Sherman Saddle and Horse Sweat Pass Mile 60.2, Dry Camp Mile 62, Bald Mountain Mile 68.6, The Smoking Place Mile 73.4, Saddle Camp Mile 74.4, Devil's Chair Mile 75.9, Howard Camp Mile 78.6, Moon Saddle Mile 80.7, Indian Post Office (huge rock cairns)} Mile 85.5, Bears Oil and Roots Camp Mile 89.3, Cayuse Junction Mile 93.7, Snowbank Camp Mile 100.5, Papoose Junction, and junction with Forest Road #569 to Powell. Mile 106.3, Arrive at U.S. 12, Powell Ranger Station and Lochsa Lodge.For more information about the Lolo Motorway, contact the Lochsa Ranger District, 208-926-4274, or the Powell Ranger District, 208-942-3113.Consider bringing along a book about the Lewis & Clark Corps of Discovery and read about their travels as you go. Undaunted Courage and the abridged Journals of Lewis & Clark are two that we recommend. There are a number of OHV rides east of Grangeville in the McComas Meadows area of the Clearwater-Nez Perce National Forest. The 25-mile ride described here is suitable for ATVs and motorbikes. UTV's would find ample forest roads to explore in the same area. This particular loop climbs more than 2,500 vertical feet to the top of Big Burn Point and Cougar Mountain before a fun twisting descent on a mix of trails, roads and two-tracks back to the trailhead.Directions to trailhead: Go east of Grangeville on Idaho Highway 13 to a signed turnoff for Lightning Creek Road (Forest Road #244) on the right. Take Forest Road #244 about five miles to McComas Meadows. Approaching the meadow, turn right Forest Road #648 and follow that to Camp 68. You can camp here if you wish. There is a Forest Service outhouse here. Turn left on Forest Road #1105 and go straight on #1185 to reach the trailhead for Trail #421, about 1.7 miles from Camp 68.Just so you know, Forest Trails #421 and #422 are restricted to ATV's 50 inches in width or less. Side-by-side UTVs that are 50 inches wide, such as the Polaris Razor, are not allowed on 50-inch ATV trails on the Clearwater-Nez Perce National Forest.The Ride: Climb Trail #421, an ATV trail, along Swan Creek canyon. It's about 7 miles to the top of Big Burn Point. At the top of the mountain, turn right on Trail #422 and follow that over to Cougar Mountain. Drop off the south side of Cougar Mountain on #422 until it ends on Forest Road #648 at mile 10.5. Follow #648 downhill to a junction with Trail #1850 at mile 13.9. Go right on #1850 for a little over a mile to Forest Road #1105. Go right on #1105 and then left on Trail #1847, known as the Gary Dale Trail, and follow #1847 across the lower mountain to Trail #421. Turn left on #421 and return to the trailhead. Total mileage, approximately 25 miles. This is a beautiful high-elevation ride from the Fourth of July Pass area on Interstate 90 through the Panhandle National Forest to the small lakeshore town of Harrison. It's about 35 miles one-way from the pass to Harrison or about 70 miles round-trip. You can take an optional side trip to Beauty Bay along the way, which would add about 12 miles to the total trip mileage. This ride follows major Forest Service roads, so the ride is open to motorbikes, ATVs and UTVs. Be sure that your trail machine is licensed for highway use, and go slow around blind corners to avoid any potential collisions with cars and trucks. Thanks to the Backcountry ATV Association in Coeur d'Alene for providing information about this ride.Directions to trailhead: Take Interstate 90 to the Fourth of July Pass exit. There is a large parking area by the Mullan Tree interpretive trail, where you can off-load your trail machines.The Ride: Cross under the freeway and turn onto Forest Service Road #614. This will be your main route near the whole way to Harrison. Keep in mind there are many junctions and side roads that you'll pass along the way. Watch the trail numbers on the roads to stay on course. It's about 10.5 miles on #614 to Beauty Saddle, a high point, where you can take Forest Road #438 to Beauty Bay Campground. This is an optional side trip. It's 5.7 miles one-way to Beauty Bay, or 10.4 miles round trip. Take a moment to enjoy the views of Lake Coeur d'Alene, and then head back to Beauty Saddle.Continuing south toward Harrison, follow Forest Road #614. At mile 13, you'll come to a junction at Chatfield Saddle, another high point. Stay on #614. You'll pass by Swan Saddle in another mile or so. After Swan Saddle, #614 begins to descend to toward the lake and Harrison. At mile 20.9, you'll come to a junction with Forest Road 318, a paved road. Take #318, also called Blue Lake Road, toward Highway 97. When you reach the Anderson Lake bridge, turn left over the bridge to a Rest Area. Take a dirt road around Anderson Lake to the Bell Canyon Road. Go up Bell Canyon to Vandussen Road, turn right and then follow Skyline Road into Harrison. This work-around to Harrison allows you to avoid riding on the highway. Locals recommend the Gate Way Marina for lunch and ice cream.Retrace your tracks to return to Fourth of July Pass. Plan on a full day's ride to enjoy the scenery. Be sure to pack plenty of water and snacks. Bunco Road to Whiskey Rock is a very scenic ride on U.S. Forest Service roads next to Lake Pend Oreille in North Idaho. This ride is one of the favorites recommended by the Backcountry ATV club in Coeur d'Alene. Thanks to the club for sharing this beautiful ride.Directions to trailhead: Bunco Road is easy to find. Go north of Coeur d'Alene to Silverwood, a theme park with 65 rides on the west side of U.S. Highway 95 (could be a side activity if you have kids). Bunco Road turns off to the right next to Silverwood. Proceed several miles to a parking lot and rest room. The ride starts here.The Ride: Bunco Road turns into Forest Road #332. Follow #332 for several miles. Bear left at a saddle and take Lakeview Road. Take a side trip to Bernard Peak if you wish. Lakeview Road is aptly named, as it provides fetching views of Lake Pend Oreille as it winds through the timbered mountains more than a thousand feet above the lake. "You can see three-quarters of Lake Pend Oreille from the Bernard Overlook," local riders say. When you arrive in Lakeview, take a moment to check out the little town. There is a public rest room there. To continue the ride, take Forest Road #278 to the north of Lakeview and follow this road along the edge of the lake out to Whiskey Rock, a recreation area and campground. Take a break and enjoy the views, and then retrace your tracks back to the trailhead. It's about 25 miles to Whiskey Rock and 25 miles back for a total of 50 miles for this ride.Incidentally, for future reference, Forest Road #278 goes all the way to Clark Fork. It's about 120 miles round-trip. To trace the route of early Idaho mining pioneers on the old Elk City Wagon Road is an educational trip back in time. The Forest Service has created an interpretive brochure on the wagon road that features 29 historic points of interest along the way. The route today is a single-land dirt road for most of the way, with more improved forest roads near the start and finish. It's about 50 miles one-way from Harpster to Elk City. The route is open to street-legal ATVs, motorbikes and UTVs, and also full-sized vehicles, so use caution along the way and keep your speed down on blind corners.Thanks to the Clearwater-Nez Perce National Forest for providing information about this ride.OHV riders could do the ride in two days, taking one day to travel to Elk City, refuel and stay overnight in the Elk City Hotel, and then retrace the route and return to the trailhead the next day.Directions to trailhead: Go east of Grangeville on Idaho Highway 13 down the Harpster Grade. Go left at the junction with ID 14 and stay on ID 13, heading for Kooskia. Turn right on Sally Ann Creek Road on the right. Proceed to the historic town of Clearwater. Turn right in Clearwater and follow Forest Service Road #284 into the mountains. In about 5 miles, you'll come to a junction with #284 and Forest Road #1108. Find a pullout in this location, park your vehicle and unload your trail machines.The Ride: The Elk City Wagon Road starts at an elevation of 1,600 feet above sea level near Harpster, climbs to more than 6,000 feet by Baldy Mountain, and then descends to Elk City at an elevation of about 4,000 feet. The first route over the mountains from the Clearwater River to Elk City was pioneered by the Nez Perce people. The first gold miners used the trail to explore the Elk City area in 1861. By the 1890s, a number of way stations were built along the trail. It took wagon trains two days to negotiate the trail in the pioneer days.Take Forest Road #284 up to Baldy Mountain and Mountain House from the parking area. You will be climbing all the way to the Mountain House stage stop. From here, the road descends at a steep pitch down Pilot Creek to Newsome, where a hotel existed at one time. At Newsome, merge with Forest Road #1858 and follow that for several miles. Near Bear Creek campground, go left on Forest Road #1808 and climb over the mountains to Elk City. On your way into the valley, merge with Forest Road #1199 and take that into town.The Elk City Hotel is available for overnight lodging, and there are three restaurants in town. There is one gas station where you can refuel. Mile 46.3 - Reach U.S. 20 ... trail continues into West Yellowstone After you cross the Idaho-Montana border, the trail angles to the east to West Yellowstone, and you'll ride into the south side of town. Forest Service officials report that OHV's are not allowed to ride on the streets in West Yellowstone, so please follow those rules. There are many hotels in West Yellowstone with overnight lodging. There also are overnight accommodations in Ashton and Island Park.If you like to fish for trout, the Henry's Fork is a world-renowned rainbow trout stream. Single barbless hooks required. The fly shops in Island Park will know what the fish have been biting on.